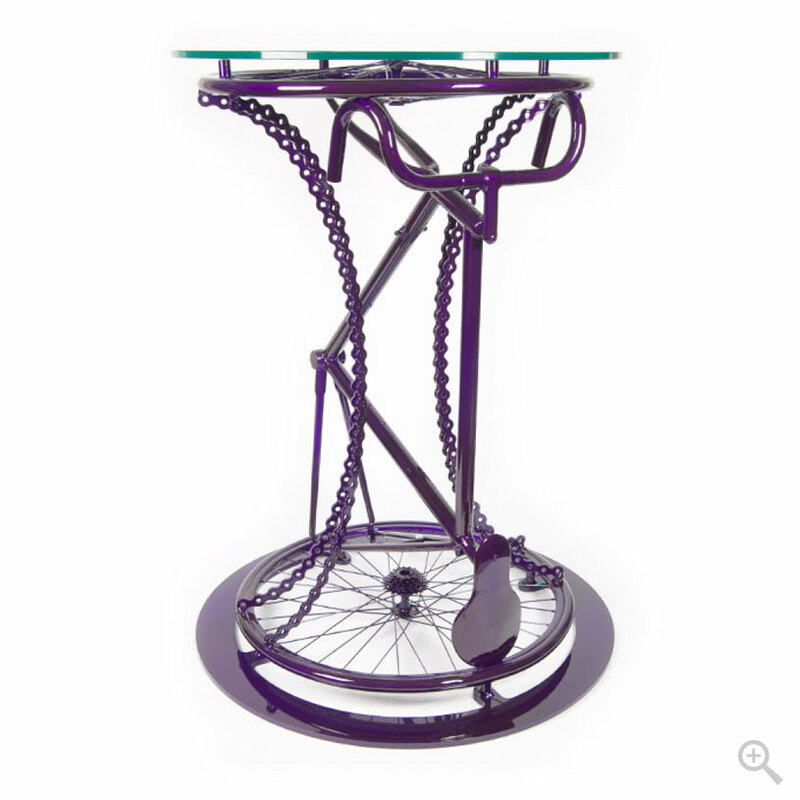 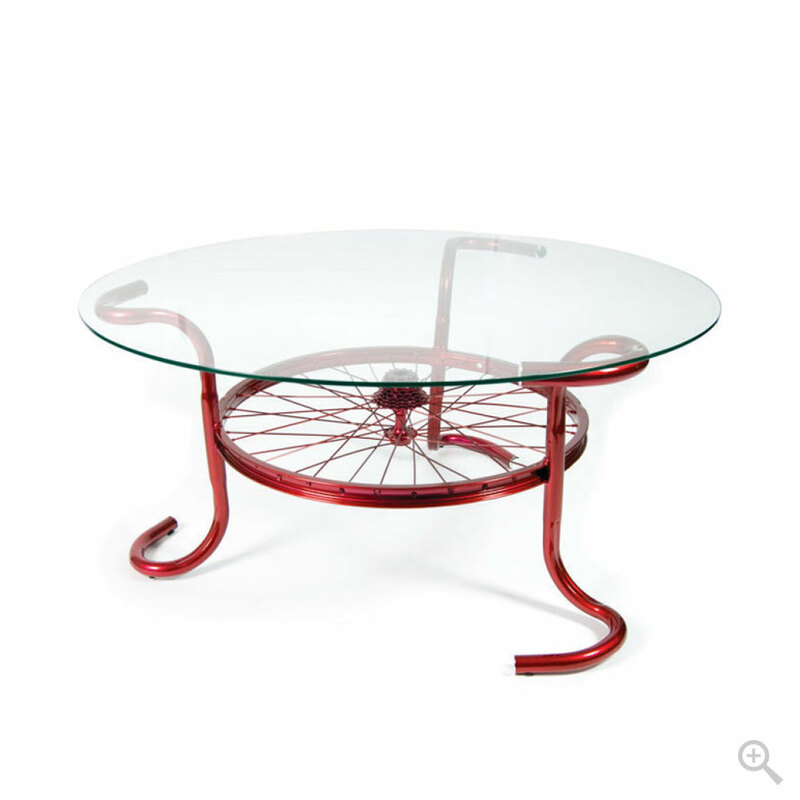 The Freestyle coffee table is influenced by cycling with its four-wheel designed base. 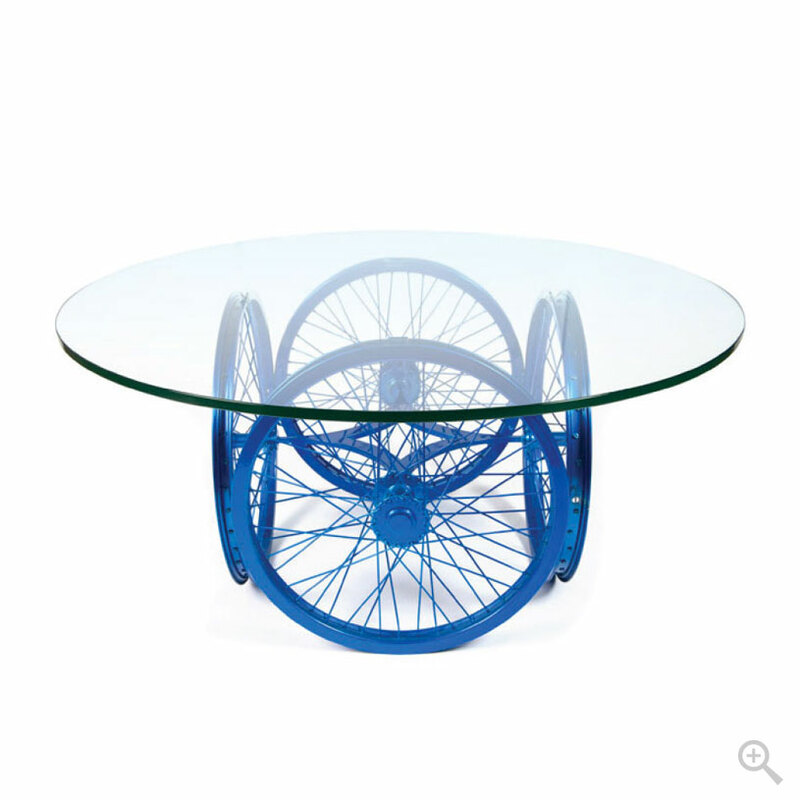 The base is fabricated of aluminum and powder coated in a candy blue finish. 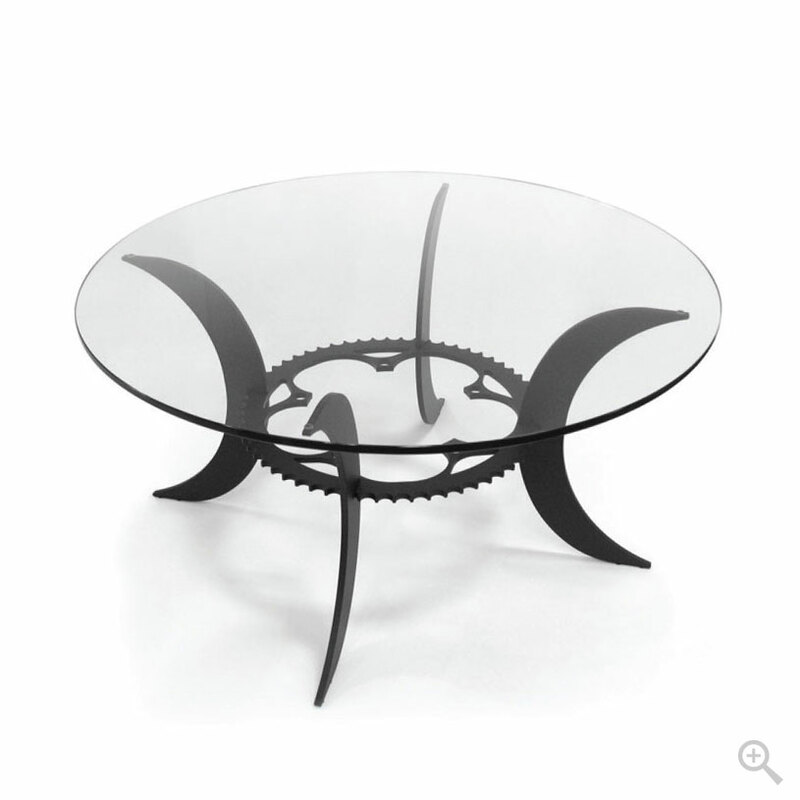 The top is 1/2″ tempered glass.